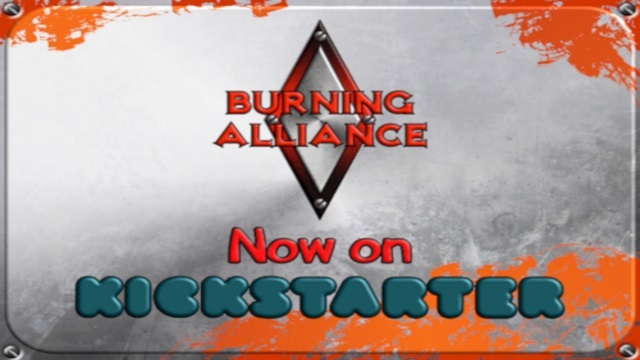 Fans of virtual cardboard may want to take notice that Italian developers, Irealy Games, are hard at work on a new trading card game for Android, and possibly iOS and Steam, titled Burning Alliance, and are looking to Kickstarter to help get it on the market. Burning Alliance hopes to set itself apart from other free-to-play virtual TCG’s with it’s titular Burning Alliance mechanic, in which two cards of the same type can be fused together in order to form a new, more powerful, card. In addition to the fusing mechanic, cards also have levels ranging from 1 to 3: Level 1 cards only have attack and defense points, level 2 cards have additional abilities, and level 3 cards can be fused together with other level 3s in the previously mentioned Burning Alliance feature to form the powerful level 4 cards that can’t be played through normal means. Burning Alliance does away with the concept of rarity, a very important part of many TCGs both virtual and otherwise, in favor of game balance. The game will feature both a single player story mode as well as online multiplayer with four different characters to choose from, each with a different element which does seem to effect gameplay and deck building. Cards can be obtained either by purchasing packs with real money or with “gears”, the in-game currency. There’s also equipment that can be equiped to your character although it’s unclear if they’re cards you equip mid-game or if it’s something you do before hand. Irealy Games claims the game is mostly finished already and they just need Kickstarter to raise the capital needed to add a last bit of polish and get the game on the market. They’re looking for €15,000 to release on Android with a stretch goal of €18,000 for iOS and Steam. Other stretch goals include expansions to add more cards as well as a clan system for muliplayer. ITALY – JUNE 19, 2018 – Irealy Games are happy to announce that they’ve just started their Kickstarter campaign for Burning Alliance, seeking a goal of 15.000€ to complete development and bring the innovative collectible card game to Android. The game will be also ported to iOS and Steam if the first stretch goal is reached. Burning Alliance adds a fresh twist to the usual collectible card game mechanics thanks to its unique ‘Burning’ mechanic that lets you fuse two level 3 Leader Cards of the same element together to create phenomenal alliances of warriors, thus opening up to a wide range of strategic gameplay possibilities. Quick matches and ranked battles in multiplayer mode. Four different characters to choose from in the story mode. All progression can be earned via gameplay only, by gaining experience points and Gears in both single and multiplayer mode. New card packs can also be bought through the in-game store. Four different kinds of equipment for your character (helmet, armor, weapon and boots) to gain special bonus effects. A deep crafting system to widen deck building strategies. The game will be free to play, with a system that rewards the players’ ability over their purchases.